We all want our homes to be the safest place for our families. However, even with the best intentions, we often overlook some vitally important items to ensure our family’s safety. Read on for five of the most important home safety essentials that every home should have. Everyone knows their home needs functioning smoke detectors. Many of us are even familiar with the importance of carbon monoxide detectors, but according to multiple surveys, less than half of all homes have them. Many companies now make combination smoke/CO detectors so there is no excuse for not having this important home safety essential covered. 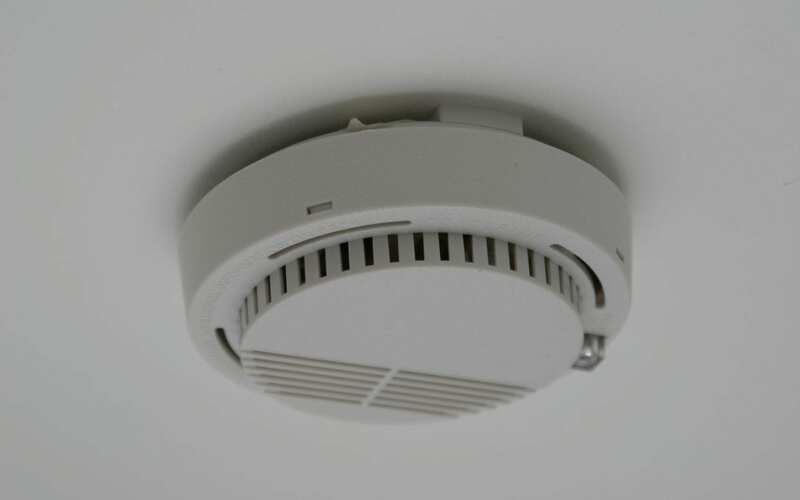 CO detectors need to be on every floor of your home, plus in every bedroom. Smoke detectors need to be in those same areas so having some combination units might be the best value. Be sure to check monthly that each unit is functioning properly and replace the batteries annually. A basic first aid kit is an obvious must-have for any home. Often times, however, we dig into them for the occasional scrape or burn but forget to restock the kit. Make sure your kit is always fully stocked, or have a dedicated kit only for emergencies if keeping track of what items have been used is too tedious. Every home needs fire extinguishers that are easily accessible and ready for use. It’s important to check your fire extinguishers monthly to be sure they’re prepared for action. Also, be sure that each extinguisher in your home is designed for the type of flame that would most likely occur in that area. In the case of a fire, each bedroom needs an alternative escape route if the obvious one is blocked. Often, this means exiting through a window. If your home has bedrooms in either a basement or upper floor, having the right kind of escape ladder is a home safety essential that cannot be overlooked. For upper levels, you can find collapsing ladders that are hung from the window when needed. For basement bedrooms, an attached ladder in the window well can be a true lifesaver. Be sure to teach children where these ladders are located and how to operate them. With some minimal preparation, you can rest easy knowing you are prepared with the necessities in the event of a major disaster. The American Red Cross has some great ideas for additional items to include in your home’s disaster kit if you want more than the basics. Some simple pre-planning and maintenance are all you need to make sure your home is prepared for the unexpected, and with these five home safety essentials, you can rest easy knowing you have the basics covered. Cal Home Inspection provides home inspection services to help you have a safer and healthier home. If you need home inspection services in the Greater Sacramento area, contact us or schedule your inspection online!